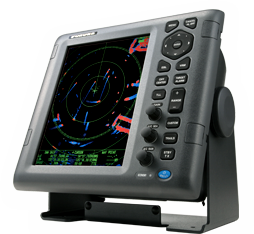 The new 1835/1935/1945 Radar Series features a high contrast 10.4" color LCD radar designed for a wide range of vessels including pleasure craft, fishing boats and work boats. This new radar offers crystal clear target presentation with automatic Gain/Sea/Rain controls to deliver noise-free radar presentation. It features superb detection of even small targets both at short and long range. It also boasts all-new display modes which will assist you with navigating safely on all waters. The Radar allows you to see far away objects before they are visible, and allows you to see in the dark, fog or during periods of obstructed visibility in any weather condition. With its advanced signal processing technology, the Radar demonstrates a substantial increase in target detection, particularly for close range targets. 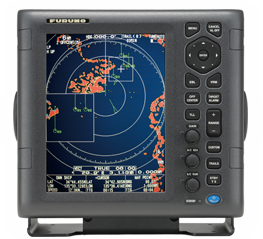 The unit can be interconnected with other navigation equipment such as chart plotters and sounders through Furuno's programmable NMEA 0183 interface system, affording operators the ability to expand their boat's system as needed. In Full Screen mode, the entire display is filled with the echo image. Full-screen echo presentation capability allows the operator to observe a wider overview of the surrounding area. You can even toggle on and off the on-screen navigation data to display only the Radar image.